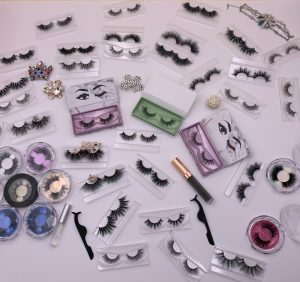 CALECHELASHES is the world’s largest manufacturer of mink eyelashes, always leading the eyelash fashion in the eyelash industry! We regularly designed new styles. Each of our eyelash is repeatedly designed, repeatedly tested, and repeatedly adjusted styles or even hundreds of times before being introduced to the market! Each pair of 3D mink eyelash has experienced more than 20 processes, from the selection of raw materials, high-tech processing of raw materials, design, production, on-line, glue modulation, shaping… Each process is exquisitely crafted. Make sure each pair lashes is perfect. Once CALECHELASHES are released to the market, it will cause an popular.Our mink lashes are famous for their newest style and natural.3D mink Eyelashes are highly reviewed by the super stars , which instantly hot in the fashion market! 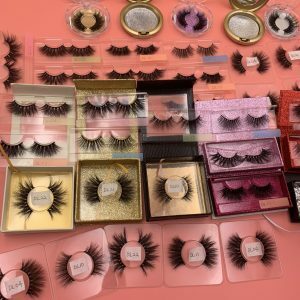 CALECHE LASHES is 100% handmade mink lashes, the workers put each knot eyelash on the design drawings, every worker is trainging by our professional lessons. Because it is the handmade mink lashes, the amount quantity mink lashes is limited every day. Therefore, our eyelashes are demand exceeds! 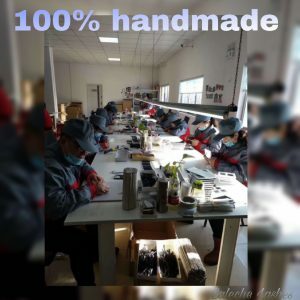 When the market demand is extremely strong, please be sure to give us enough time to prepare goods, when we received the order, we will arrange shipping according to the order date.Because of the pure hand-made, once the workers have emotionally nervous, the products that come out are not perfect! I hope you will understand! CALECHE LASHES, our purpose “your success is our success”, your difficulties are our difficulties, we will try our best to create more business opportunities for you! We are collaborators, not competitors! We hope work together with you to create a brilliant company!